Michelle Eistrup, ‘Deep Underground and Up Above’. Wonnerup House photomontage. Courtesy: the artist and ArtGeo Gallery, Busselton. Featuring artists from Australia and Scandinavia, ‘Spaced 3: North by southeast’ is the culmination of International Art Space’s third artist exchange project. IAS is a leading Western Australian arts organisation that presents dynamic socially-engaged and context-responsive contemporary art programs. ArtGeo’s exhibition features five of the eleven artists who exhibited recently at the Art Gallery of Western Australia, including Danish/Jamaican artist Michelle Eistrup, Dan McCabe (Western Australia), Heidi Lunabba (Finland), Tor Lindstrand (Sweden) and Sam Smith (currently based in the UK). 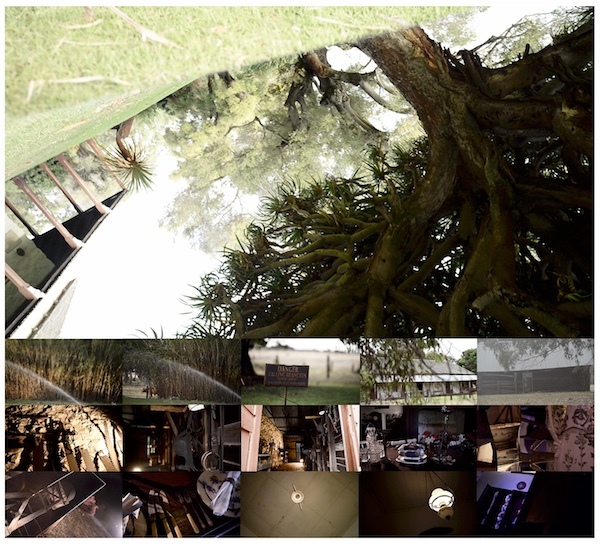 Eistrup’s images and sound recordings document people and places she encountered during her residency in Busselton in 2016 and 2018.